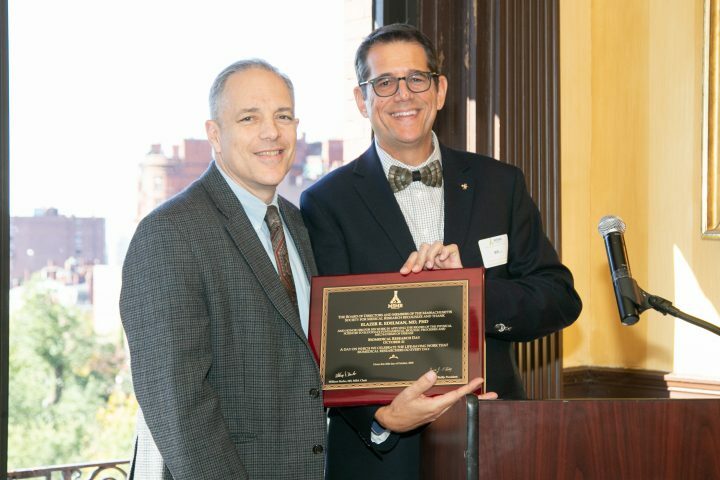 On October 26, IMES Director Elazer Edelman was recognized by the Massachusetts Society for Medical Research (MSMR) for his contributions to the field. Selections were made on the occasion of National Biomedical Research Day on October 21. 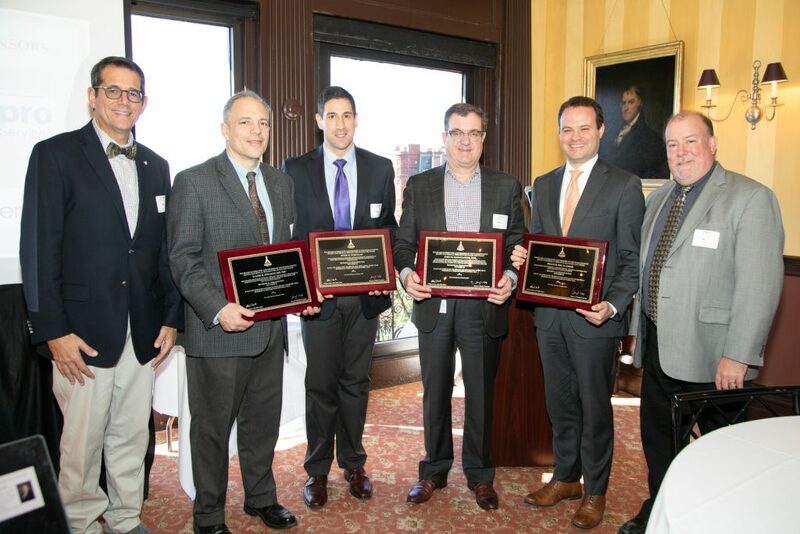 At a celebration at The Union Club in downtown Boston, Edelman along with others working in the space and based in the region, including teachers, developers, and business and government leaders, were acknowledged. Along with his directorship of the Institute for Medical Engineering & Science, Edelman is head of MIT’s Clinical Research Center (CRC) and the Harvard-MIT Biomedical Engineering Center (BMEC). His research lab is focused on biomaterials, drug delivery, implanted devices, and mechanical support. Edelman was nominated by Danielle Elbirt of EMD Serono, a former colleague at MIT. “I was incredibly touched for our group’s work to be recognized by the Society as they are dedicated to bringing impact to research in New England and around the world.” Edelman said. As co-leader of the recently launched T.5 Capacity in Medical Devices Program, a collaboration between MIT and Tufts Clinical and Translational Science (CTSI), Edelman helps to oversee a program centered on perfecting early device testing and design sequences for medical innovations, thus increasing their likelihood of being brought to wide use in hospitals. In February, Edelman and his lab uncovered the reason biodegradable polymer stents, used to prevent blood clotting in patients with heart disease, have historically been seen as less effective than metal stents, which polymer devices were designed to improve upon – because testing done on polymer stents had up to that point been identical to that of metal stents, though the materials differ in microstructure. Their findings could result in better evaluation of biodegradable polymer stents in the future. Other achievements in the lab include development and optimization of the first bare-metal stents, and pioneering research on proliferative vascular diseases as the outcome of effects from endogenous growth promotors and suppressors. To learn more about Edelman and his work, please visit edelmanlab.mit.edu.